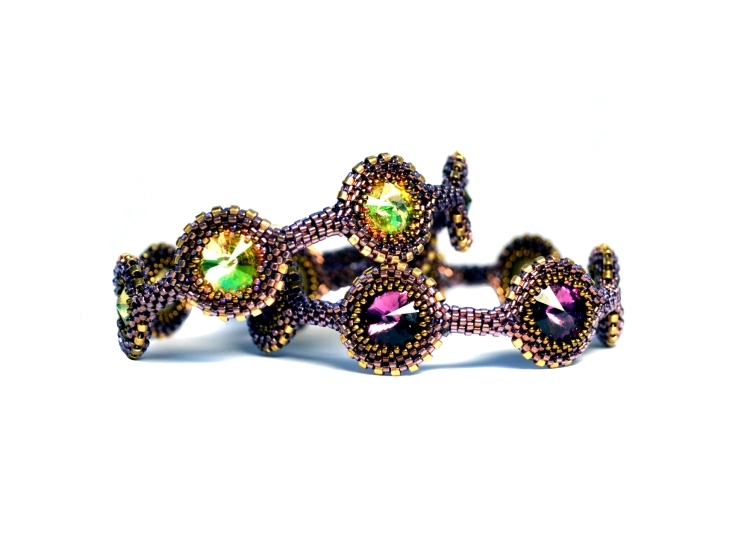 Want to add sparkle to advanced beadwork? 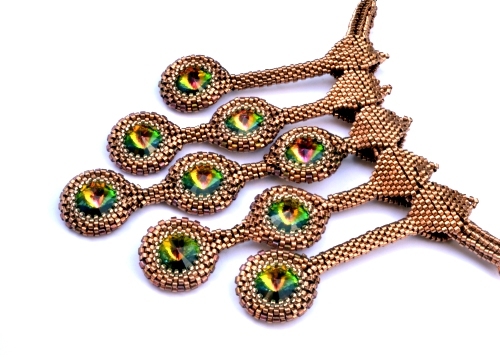 Want to create jewellery components which can be used in different ways? This class which combines peyote, brick and herringbone stitches gives you all of that and more. 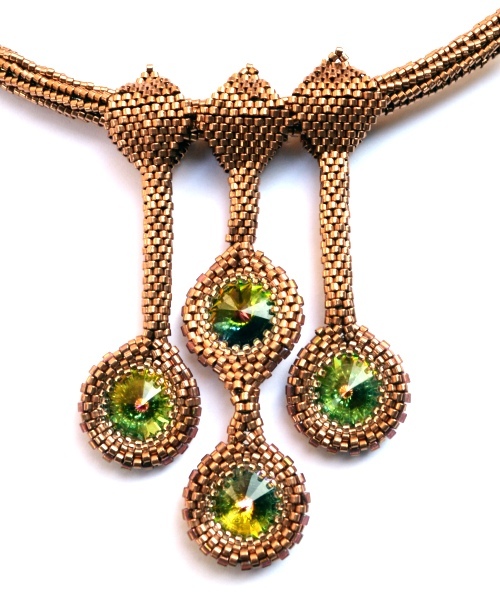 This advanced class combines 3 different beading stitches to create peacock drop components which can be used to make a variety of necklaces or bracelets. Note: this popular class is available as a pattern here but the class is more in-depth with multiple demonstrations.